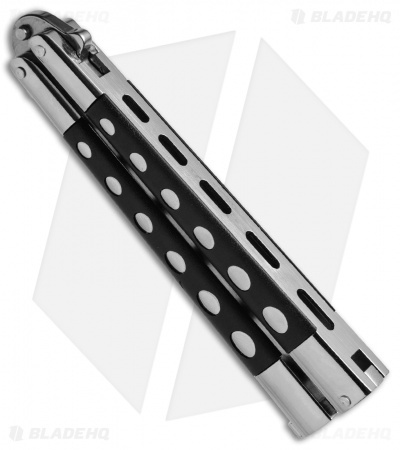 This rare Benchmade 259 butterfly knife was recently acquired from a collector. It is in excellent condition with only minor wear on the clip and handle from flipping. It does not include original packaging or paperwork. Pictured above is the actual knife for sale. 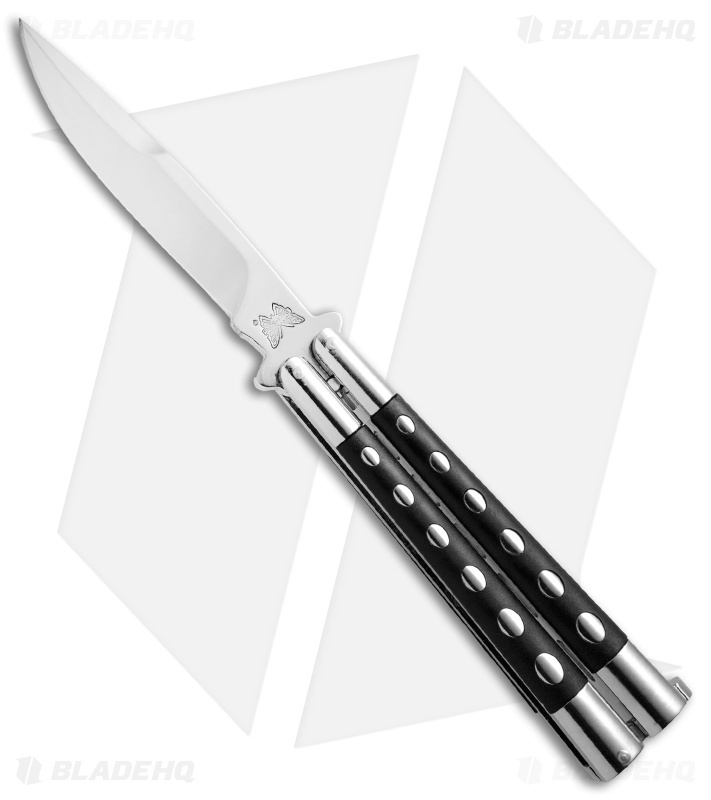 The Benchmade 259 offers flipping precision with solid Zamak handles and a 440c stainless steel blade in a Weehawk style. It has black handle inserts and a mirror polished finish that add a classic touch to the design. Item includes a stainless steel T-latch for securing the blade in the open or closed position.